21 Jan Cash in your grain and still retain exposure to the market. There will be many of our readers who use swaps as an instrument in their grain marketing toolbox. The swap is a simple tool to use, and in general, is used pre-harvest but are there opportunities to turn the swap on its head and use post-harvest? The traditional method of utilizing a swap is to sell a swap prior to harvest in order to lock in a futures price, then unwind the swap by buying it back from the bank at or near harvest. The main point of using swaps as a marketing tool is to create a hedge to protect against downside in physical prices, not as a speculative tool. At its most basic, if physical market rallies you will lose on the swap and gain on the physical and vice versa (Figure 1). Grain Swaps – farmers’ friend or hazard to be avoided? The above explanation briefly outlines the traditional use of swaps, with the grower as the seller in advance of harvest. In our previous analysis article ‘3 elements you must consider when pricing grain’, we have explained the importance of thinking of your grain price as three distinct components. It is important to always keep in mind basis and futures. During a year with low harvest prices, many growers will elect to hold onto grain with the hope of prices increasing in the post-harvest period. The holding of grain has a cost attached (interest lost, storage costs), and alternatives, where you can cash your grain and still have exposure to the market, are an attractive proposition. With a number of banks, it is possible to turn it around and instead of selling a wheat swap, buy a wheat swap. Let’s say for instance the current basis levels were high (currently the case) and futures were low. 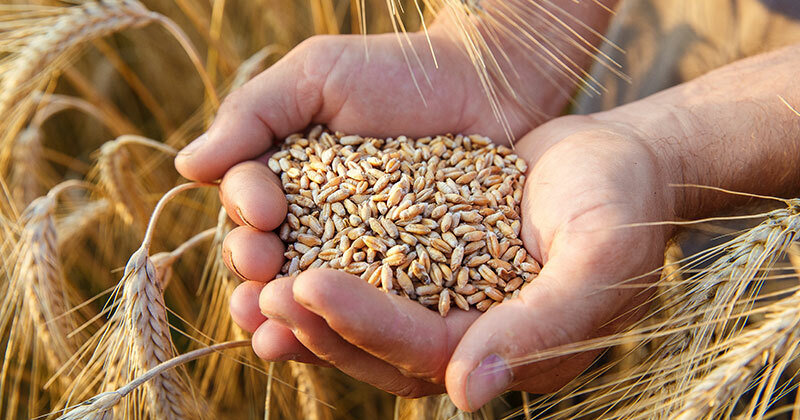 It would be possible to sell your physical grain and lock in the basis, at the same time as buying a wheat swap. The buying of the swap would give exposure to the futures market. Therefore, if the futures market rallied, you would participate in any upside. In an ideal world, you would then close out your swap position when you had reached your target price, and with the addition of the basis already captured, would be your overall price. It has to be noted that there is also the potential for downside risk, and for many, it may be more beneficial to use a cash and call strategy which has a known ‘worst case scenario’. You are able to gain cash flow from the physical sale of your grain. If the basis levels are attractive they are locked in, leaving no exposure to falls. It is important to understand a number of different ways of marketing your grain, as the tools available will work better in different marketing environments. The opportunity for growers to buy a swap is best utilized when basis levels are high and upside is limited. This provides exposure to the futures market through the northern hemisphere growing period.